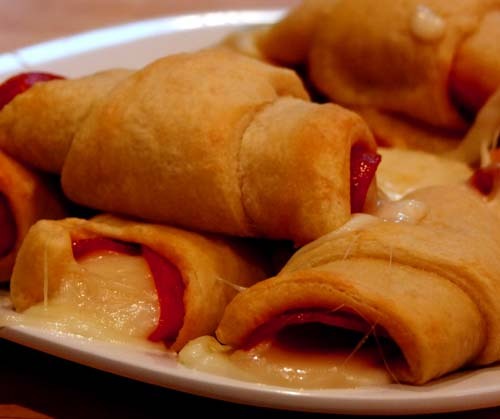 Crescent rolls for an afternoon snack or an appetizer are real simple to make. For one thing, you can make them from out of a box, such as those made by Pillsbury. The question for you is simple, what do you want as stuffing? You can be as creative as you feel like or just follow common recipes that you can find almost anywhere online. Below are four flavors of crescent rolls that are easily made. 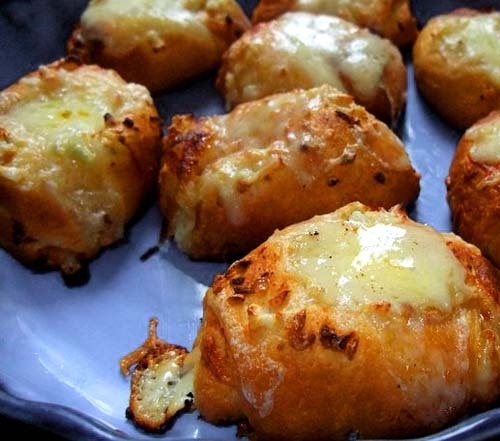 One of them, the Garlic Cheese Crescent Rolls, is vegetarian. 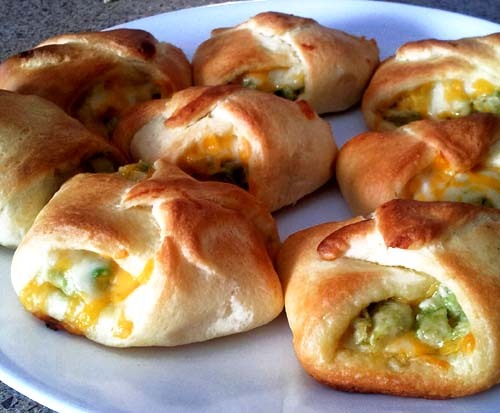 The last one, Avocado Chicken Cheese Crescent Rolls, is made from leftovers. Each 8 oz package contains 8 dinner rolls that are ready to be cooked. Just the follow the baking instructions once the rolls have been prepared with the desired stuffing. Garlic Spread (off-the-shelf or homemade) brushed on top of the rolls before and half-way through baking. I had leftover chicken and was in a creative mood. So I tossed in a few slices of avocado and a handful of slices of cheese in each crescent roll. Then baked according to the packaged instruction. Voila! 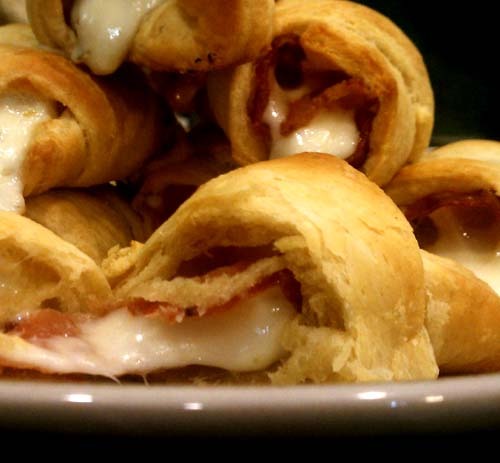 There are plenty more fun things you can do with crescent rolls. The important thing is that you can't really messed it up badly. So look around the fridge and the kitchen. See what could be the next delicious masterpiece.